There's a reason that customer referrals are so sought-after in the world of business. In essence, a referral from an existing customer is a ringing endorsement as to the quality of your product or service. With this in mind, how can you start to make customer referrals a bigger part of your business? There are really two different ways that customer referrals happen: organically, and via referral programs. We’ll look at both of these, but the main focus of today's article will really be how you can create a customer experience that generates referrals naturally. Relying on customer referral programs can be effective, but implementing one can also be a huge burden financially and in terms of time resources. So without further ado, here are 3 ways to make referrals a bigger part of your business. If you're not going to go down the route of launching a customer referral program, that doesn't mean that you shouldn't reward customers who do refer new business. It's good practice to ask new clients where they heard about you, and if it is via an existing client, be sure to ask for names if they're comfortable giving them out. If so, you'll be in a great position of ‘surprising’ that customer with a token of thanks. This can be in the form of a one-time discount, or even something as simple as a personal phone call to express your gratitude. As with any gesture, it's not about the material things, but the thought that counts. It’s no exaggeration to say that the best way to garner customer referrals is to, well, give them a reason to want to recommend your business. By focusing on building real relationships with your clients, you can create an environment whereby customer referrals are a nearly everyday occurrence – without the need for financial incentives or otherwise. If balancing all of your customer relationships is something of a tall order, why not check out the AutoVu platform? It’s built from the ground up to make CRM a doddle. The final point we’d like to cover is on the topic of when to ask for referrals. As we discussed above, sometimes they’ll happen naturally – especially as you develop those relationships. But there may be times when a well-placed request for a referral may be very effective. For example, if a client has recently complimented your product or service, a natural opportunity may present itself where you can request a referral and it doesn’t seem artificial or forced. The flipside of this coin is, of course, knowing when not to ask for referrals. If your client has been complaining, or is otherwise unhappy with any aspect of the service, asking for a referral may be the final straw – so tread carefully! 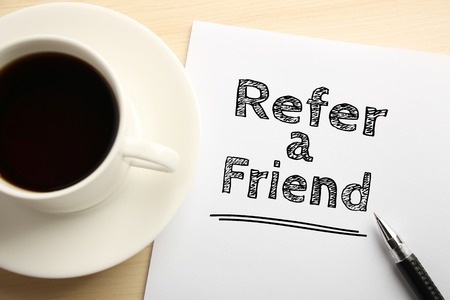 Are you feeling ready to encourage a few more customer referrals for your business? If so, you might just need a little help managing the influx of new clients. In that case, feel free to explore more about AutoVu now, or call the team today on 0845 474 8824.